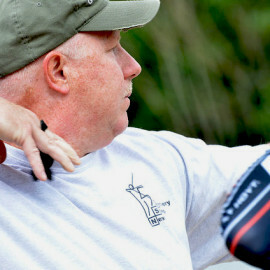 I started archery as an introduction to adaptive sports in 2012 for the US Air Force Wounded Warrior team. 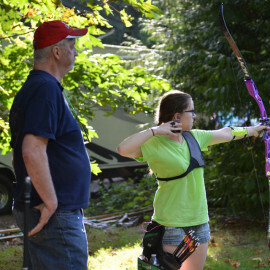 In 2013 I joined the Next Step Archery team and started my competitive archery career. 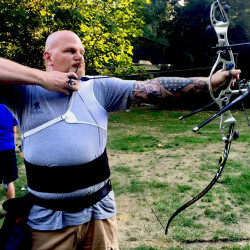 I have been a member of the US Air Force Archery Team for 3 years and I am currently the Next Step Archery Wounded Warrior team coach and a member of the USA Para Archery team. I have won a silver and bronze metal in the Warrior Games, a bronze in the Valor Games and currently ranked 6th in the nation for Male Recurve Para Standing. 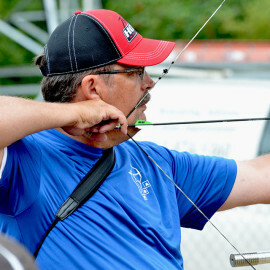 Currently I am working toward making the 2016 Paralympic Archery Team for Rio. After being wounded in Afghanistan in 2010 I am involved with the Wounded Warrior project as a peer mentor, helping other wounded warriors learn to live with their disabilities.